Intrigued by the prospect of easy money,A�five men running a gambling cluba��includingA�Sheshadri (Dharmendra) and VikramA�(Mukesh)a��are lured into a deal where theyA�invest `50 lakh each. Though the taskA�appears to be a simple exchange of goods,A�things take a bad turn when Shiva (Shetty),A�the one assigned to deliver the money, isA�killed. What follows is a mad hunt to findA�the betrayer, who they think must be anA�inside man as no one else knows the detailsA�of the deal. This film also marks Mukesha��sA�entry into the film industry. 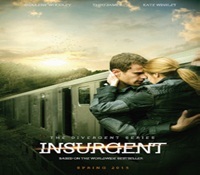 Sequel to The Divergent, Insurgent follows aA�rebel soldier, Tris Prior (Woodley), as sheA�refuses to cope with the divergent rehabilitationA�facilities put together for soldiers byA�Jeanine (Winslet), the Erudite leader. When aA�mysterious box is discovered, which can beA�opened only by a Divergent, Jeanine declaresA�a martial law that marks everyone possessingA�these qualities as enemy of the state. 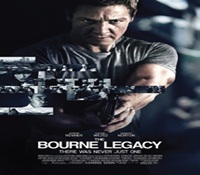 HavingA�run out of options, soldiers including FourA�(James) and Caleb (Elgort) escape the compound.A�This is the first time Winslet has actedA�in a film series. complete because soon they have anA�African smuggler, Mikhail ChristoA�Troykovich, and Abu ShabalA�(Cottle), a Chechen terrorist, onA�their trail. This filma��s cast includesA�actual Navy SEALS whose real identitiesA�are not revealed as per the policiesA�of the US government. On a mission set in post-apocalyptic Earth, Jack Harper (Cruise)A�and his team member Victoria (Riseborough) are among the lastA�humans on the planet. The others have been relocated to coloniesA�on Saturna��s moon, Titan. Jack is assigned to protect the fusionA�energy generators on Earth, which now provides energy forA�Titan. But his hallucinations (very much like memories) andA�unusual discoveriesa��such as drones from his parent organisationA�sent to kill stray humans remaining on Eartha��leads him toA�question his mission and the real purpose behind it. 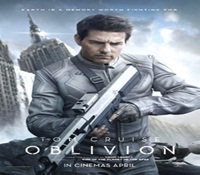 Oblivion isA�the second movie to have Freemana��s narration accompanyingA�Cruisea��s character, the first being War of the Worlds. rudely disrupted whenA�Saurav Singhania, aA�mysterious strangerA�bearing a tattoo identicalA�to Singha��s, comesA�into their lives with anA�extraordinary businessA�deal. When AdityaA�realises that his secretary,A�Kaya (Shah), mightA�be trying to sabotage hisA�company, he resolves toA�uncover Singhaniaa��s trueA�motives. 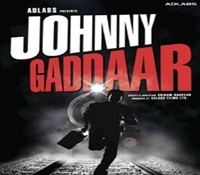 Gurmeet ChoudharyA�was initially considered forA�Adityaa��s role.